When you support a club which has forgotten the meaning of limelight (our last time in the Premier League was last century) you get excited at any scrap of publicity. Ajax's mauling of Manchester City last night was duly noted as their first home win over English opposition in the European Cup since 1980. That was when they beat Nottingham Forest, the reigning champions of Europe. A 1-0 win at the Olympic Stadium was not enough as Forest led 2-0 from the first leg; the East Midlanders went on to win the final 1-0 against Hamburg in Madrid and retain the trophy. In their lineup, Forest had Peter Shilton, the man who went on to make the most appearances in world soccer, England's first black international Viv Anderson, four Scots and Northern Irishman and current Sunderland coach Martin O'Neill. 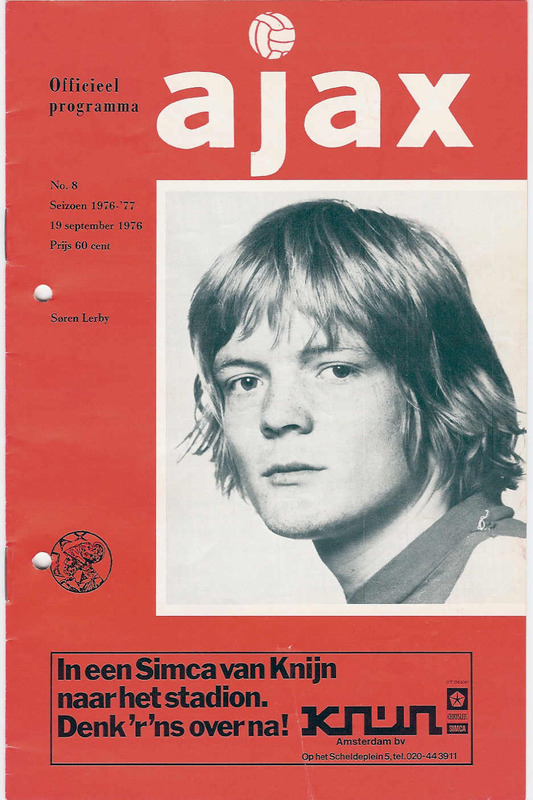 Ajax had the Danish trio of Frank Arnesen, Henning Jensen and Soren Lerby, Chinese-Dutch winger Tscheu La Ling, and were skippered by defensive legend Ruud Krol, who went on to play for Napoli, Cannes and for a short while, the Vancouver Whitecaps. Two iconic managers were on the touchlines: Brian Clough and Leo Beenhakker, on his seventh coaching job at the tender age of 38. Ajax had a fifteen-year wait until they were crowned champions of Europe for the fourth time in 1995, while Forest, ten years later became the first and as far as I know only former champs of Europe to fall into their nation's third tier. I was gonna, at least you have Robbie Findley, but you don't even have his explosive ineptitude to brighten your day anymore. robbie findley gave some good game to forest, during his spell there and it is unfortunate he was injured most of the time. i doubt you would find many forest fans who would refer to him as having been inept. Rangers won European Cup, now play in 3rd tier. Rangers play in the Scottish Third Division, which is the 4th tier of Scottish football. And since they were dropped directly to the Third Div from the Premier League, they bypassed the Second Division / third tier, which I think, technically speaking, means they never fell into the third tier. Semantics! Hooray! I'd imagine he meant dropped competitively. Rangers were jettisoned to the fourth flight as financial punishment, as opposed to the standard method of dropping. Cripes, that was me at 25-10 7:56pm. Was apparently logged in as the wife. Thanks for clarifying on the 3rd/4th thing. My bad. OTOH, semantics schemantics--playing in the Nth tier is playing in the Nth tier! No less a tumble if it is related to receivership, IMHO; after all, *very* few of the other European champs have undergone it! Oh, I understand. Just having a little fun! Heaven forbid that happen around here... Heh. Wait a minute, Rangers have never won the European Cup! - only the Cup Winners' Cup in 1972, the weakest of the old three competitions. As regards Forest & MLS, we have fond memories of Ben Olsen a dozen years ago, and Canada's Jim Brennan. I hope Robbie gets another chance, there's still time.